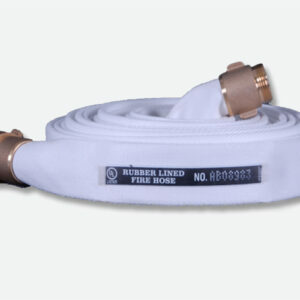 ll polyester single jacket fire hose specifically designed for interior fire fighting use, pin racks, and/or fire cabinets in buildings and plants. 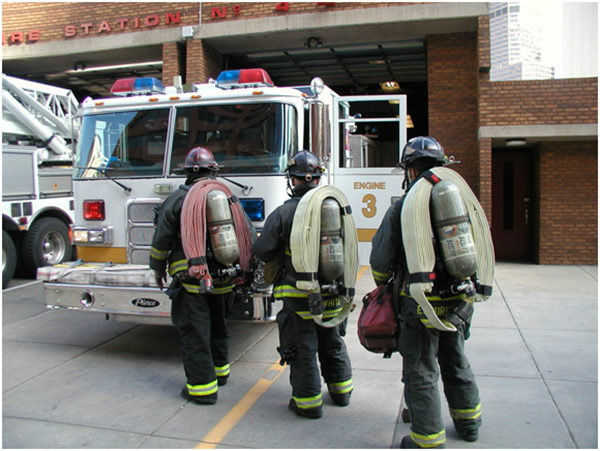 NFPA 1961 standards shall be observed in production and assembly to insure quality and durability. 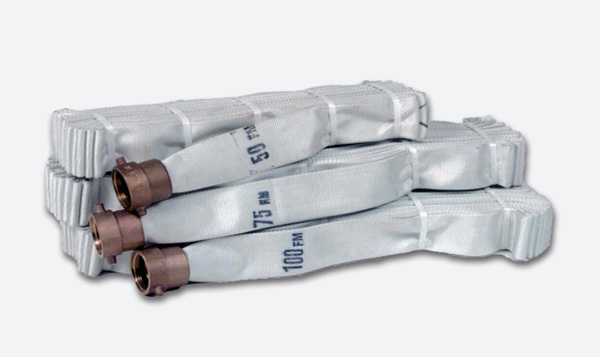 The jackets will be woven evenly and be free of defects, including knots, lumps, or unsightly disfigurations that could jeopardize the integrity of the hose assembly. The warp and filler yarns shall consist of 100% virgin polyester to reduce weight and increase flexibility. The lining shall be a single-ply extruded tube of synthetic polyurethane to resist ozone and increase tensile strength characteristics. 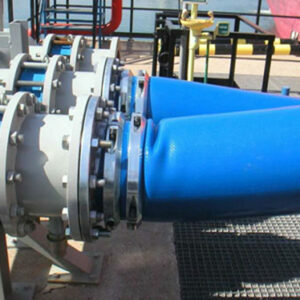 The polyurethane tube shall adhere to the jacket to prevent delaminiation. 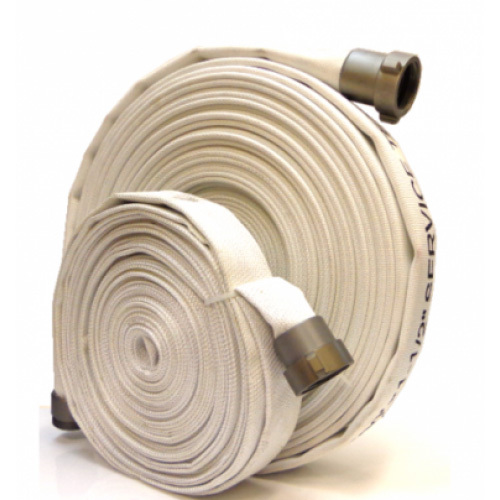 The use of polyurethane lined fire hose is designed to increase packing ability and interior firefighting applications where light weight fire hose is desired.